Common Sore Throat or Strep Throat? Your throat aches and burns. It’s painful to swallow. You know something is wrong, but how bad is it? Will it get better without antibiotics? Or will you need to visit the doctor? This article is designed to help you find relief from your sore throat, and discover whether or not you likely have strep throat symptoms. You will find the telltale signs of strep throat and the common sore throat, as well as treatment options for both. Unlike the common sore throat, strep throat is caused by a bacterial infection. A Streptococcus bacteria (called "group A strep") infects the throat and the tonsils, and it will quickly respond to antibiotics. It’s important to distinguish strep throat from sore throat because treatment for both is very different. 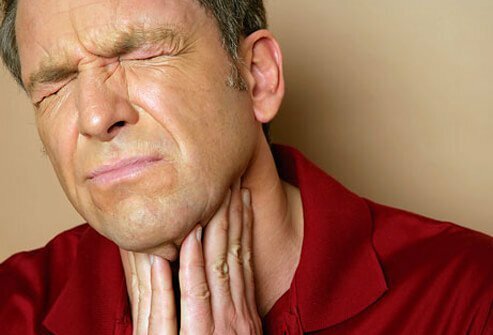 What Is the Common Sore Throat? A sore throat can be quite painful, but it is not as painful as strep throat. Unlike strep throat, the common sore throat is usually caused by a virus. This means it will not respond to antibiotics. worries you in some other way. Read along to find what symptoms distinguish a common sore throat from strep throat. Those white spots are pus pockets. In addition, some patients may exhibit swollen, tender lymph nodes in the neck and some with fever above about 101-102 F. The signs and symptoms of strep throat are the same for both children and adults. Although these signs may indicate strep throat, a visit to the doctor is necessary to make a full determination. 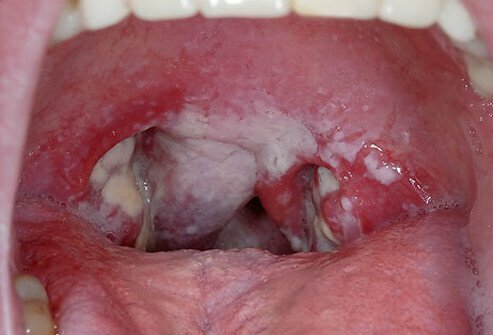 Strep throat cannot be diagnosed by visual signs alone. Unlike strep throat, sore throats usually go away on their own without any antibiotic treatment. In fact, antibiotics are useless against viral infections like colds and the flus. Viral strains are the common causes of the common sore throat. a low fever (below 101 F). Swollen lymph nodes under the chin and the front of the neck could indicate any kind of infection, not just strep throat. They could accompany an ear infection or sinus infection, for example. If your fever is higher than 101 F, it’s usually a sign of strep throat infection. 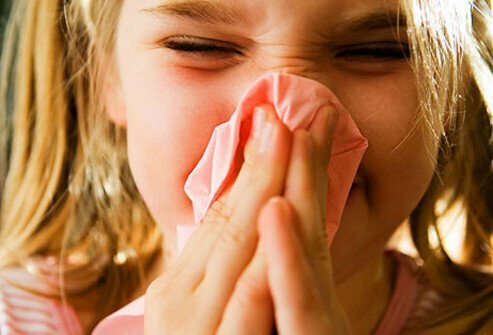 Sometimes strep throat comes with a lower fever as well, though, so not having a high fever does not necessarily mean you’re free and clear when it comes to strep throat. Fevers can go from bad to worse with strep throat. That’s one reason why treatment with antibiotics is so important. Without treatment, rheumatic fever can set in, usually about two weeks to a month after signs of strep throat first appear. Rheumatic fever is much more than just a fever—it may causes severe joint, heart, skin, and brain problems. It can damage heart valves as well. Although it continues to be a problem in the developing world, rheumatic fever is rare in the United States and other developed nations. 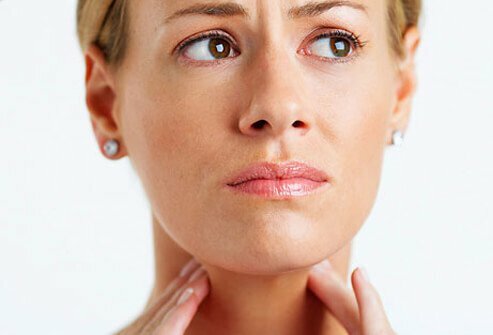 Are There Swollen Lymph Nodes? Strep throat can be spread through direct contact, especially when mucus droplets from the mouth are spread, as in the case of kissing. It can also be spread through indirect contact by sharing things like cups, forks, and spoons. If you don’t get antibiotics, your strep throat will be contagious for about two to three weeks after infection. But once you start taking an antibiotics regimen, your potential to infect others disappears after about 24 hours. For this reason, the CDC recommends that people with strep throat stay home from work, school, and daycare until their fever is gone or they have taken antibiotics for at least 24 hours. After becoming infected with strep throat, it usually takes about two to five days to fall ill. Without antibiotic treatment, strep throat can last 10-12 days. 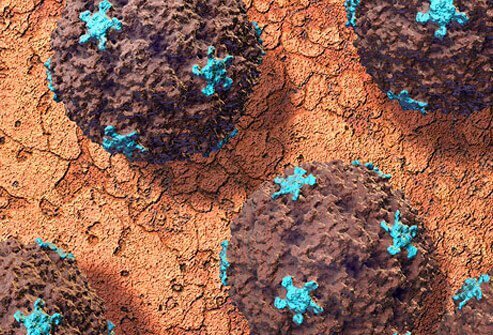 The infection is likely to get better within three to five days after an antibiotic treatment is begun. Treating strep throat earlier helps prevent more serious related conditions like rheumatic fever. If your sore throat is associated with a fine, sandpaper-like pink rash on the skin, it could be scarlet fever, which is definitely associated with the bacteria that causes strep throat. If this occurs, see a doctor immediately. Scarlet fever can be treated with antibiotics. Most sore throats are caused by viruses, or are side effects of infections in other parts of the nose or sinuses. However, strep throat comes from a common bacterial group, Group A Streptococcus, also known as Streptococcus pyogenes. Group A strep is one of the most common disease-causing bacteria in humans. About 5% to 15% of people have the bacterium in their bodies without showing any signs or symptoms of infection. Only humans can carry the bacterium. Group A strep can cause a whole range of health problems, from strep throat and scarlet fever to skin diseases like impetigo and cellulitis. It can cause the devastating flesh-eating disease necrotizing fasciitis, too, which kills about one quarter of its victims. It is important to determine if your infection is caused by strep, as antibiotics are prescribed to decrease the chance of complications. 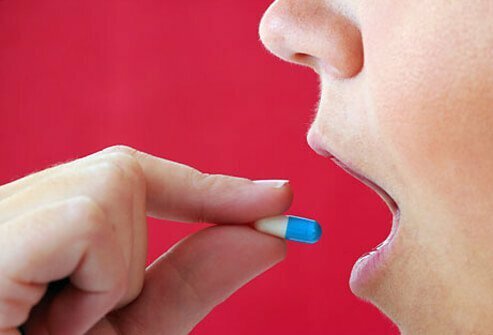 Because strep throat is caused by a bacteria, bacteria-fighting antibiotics are usually used to cure the disease. Strep throat symptoms and contagiousness dramatically improves when antibiotics are properly administered. It’s important not to overuse antibiotics though. Overuse of antibiotics threatens to create “superbugs,” microbes that are resistant to antibiotics. Every year in the United States, at least 2 million people are infected with antibiotic-resistant bacteria. To avoid contributing to this growing health problem, don’t try to treat viral or fungal illnesses with antibiotics. 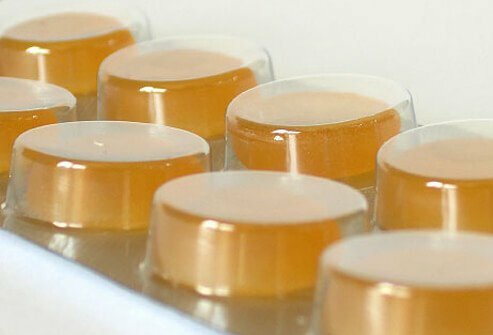 Antibiotics do not provide any benefit against viral or fungal infections. The only result of using antibiotics in these cases is the further proliferation of superbugs. Antibiotics do not get rid of sore throats caused by the common cold. The common cold is caused by a virus, and antibiotics will not help. Just looking at a patient’s throat is not enough to diagnose strep throat, so your doctor will want to perform a test to be sure. 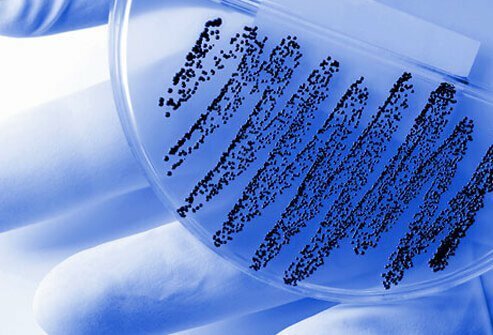 The rapid strep test is attempted first to make a quick determination of the possible presence of strep-causing bacteria in a patient’s throat. 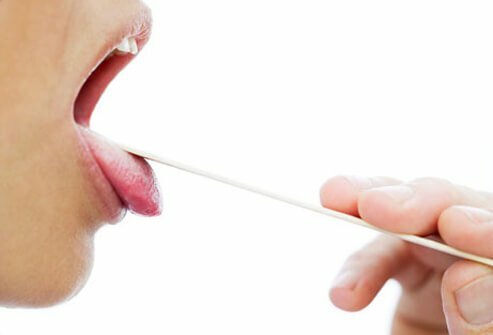 To perform a rapid strep test, a doctor will swab both tonsils and the back of the mouth. True to its name, a rapid strep test takes about 10-15 minutes to provide results. About 5% of the time, a rapid strep test will turn out negative even if strep throat is causing one’s illness. If a doctor still suspects strep throat, he or she will follow up with a throat culture. Throat cultures are performed the same way from a patient’s point of view. The tonsils and back of the mouth are swabbed once more. Then the throat culture is sent away for further testing. Results will take a day or two to return. Don't share food or utensils. Throw away your toothbrush when your strep infection has resolved. Sometimes home remedies do a good job of easing the pain and discomfort of a sore throat, both for strep throat and sore throats caused by common illnesses like colds. However, if symptoms worsen with home remedy treatments, you should see a medical caregiver (see slide 20). 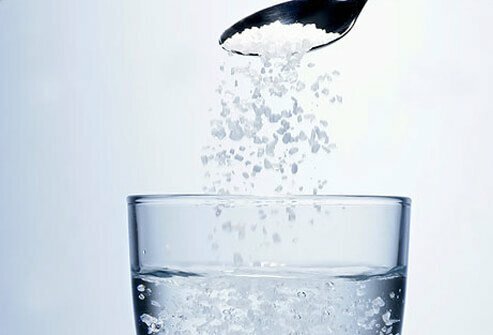 Gargle: Stir 1/2 tsp of salt into 1 cup of warm water, and gargle from this solution several times a day. This helps loosen mucus and draw excess fluid out of inflamed throat tissue. Throat lozenges: over-the-counter throat lozenges and hard candy can help ease the pain of a sore throat. Throat sprays: These can help numb the throat, which helps to stop the pain associated with both strep throat and sore throats. Tea with honey: Honey has been shown to relieve throat irritation, and hot water from a mild tea can do the same. Remedies are aimed at keeping the throat moist, as well as symptom relief. Part of the pain and irritation of a sore throat comes from having a dry throat. One solution is to plug in a humidifier or vaporizer to increase the humidity in your room. If you don’t have a vaporizer or humidifier, another solution is to hold your head over hot, steaming water. Put a towel over your head to hold the moist steam close to your face, and breathe in as deeply as you comfortably can. While keeping your throat warm can relax the throat muscles, cold foods can numb the pain of a sore throat. The coolness of the food soothes the pain, and soft foods are easy to swallow past the inflamed areas. Drink plenty of water when you have a sore throat. Use a straw to sip water or other fluids to make it easier for the fluid to go down the middle of the throat. Avoid citrus juices or alcoholic beverages when fighting an infection. Citrus juices can be painful on a swollen, tender sore throat. Alcoholic beverages will actually dry out your body, doing more harm than good in the long run. 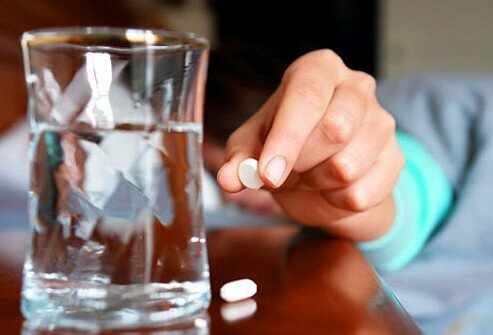 Children and teens should not be given aspirin due to the risk of Reye’s syndrome, which can be fatal. antiseptic agents, which help reduce the growth of harmful microorganisms. Be sure to use these products as directed, and consult your doctor before taking decongestants if you are taking other medications. See your doctor if you have been treated for strep throat and it has not improved or resolved within three to four days. Will © Deni McIntyre / Photo Researchers, Inc.
Brody, Jane E. “Strep Symptoms: When to Use Antibiotics.” The New York Times. Oct 10, 2006. CDC. “Antibiotic/Antimicrobial Resistance.” Updated Aug. 17, 2016. CDC. 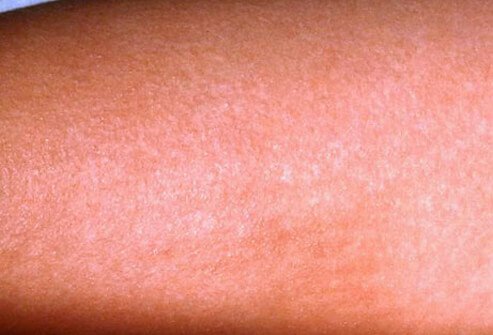 “Scarlet Fever: A Group A Streptococcal Infection.” Updated Jan 19, 2016. CDC. "Sore Throat." Updated Jul 23, 2015. CDC. “Worried Your Sore Throat May Be Strep?” Updated Oct 17, 2017. Davis, Charles Patrick, MD. “Is Strep Throat Contagious?” MedicineNet. Reviewed Oct 7, 2016. Medscape: "Group A Streptococcal Infections"
Mersch, John, MD. “Rapid Strep Test.” MedicineNet. Reviewed Aug 23, 2016. O’Connor, Anahad. “The Claim: Gargling With Salt Water Can Ease Cold Symptoms.” The New York Times. Sept 27, 2010. Rodriguez, Laura V. “Group A Streptococcus.” Austin Community College. Todar, Kenneth, PhD. "Streptococcus pyogenes and Streptococcal Disease." Todar's Online Textbook of Bacteriology. Feb 24, 2009. U.S. National Library of Medicine. “Rheumatic Fever.” Reviewed Jan 10, 2016.